Add this amazing salad to your Thanksgiving feast! 2. Fill a baking dish with 1/4 inch of water and place whole beets in the dish. Tightly cover with aluminum foil. 3. 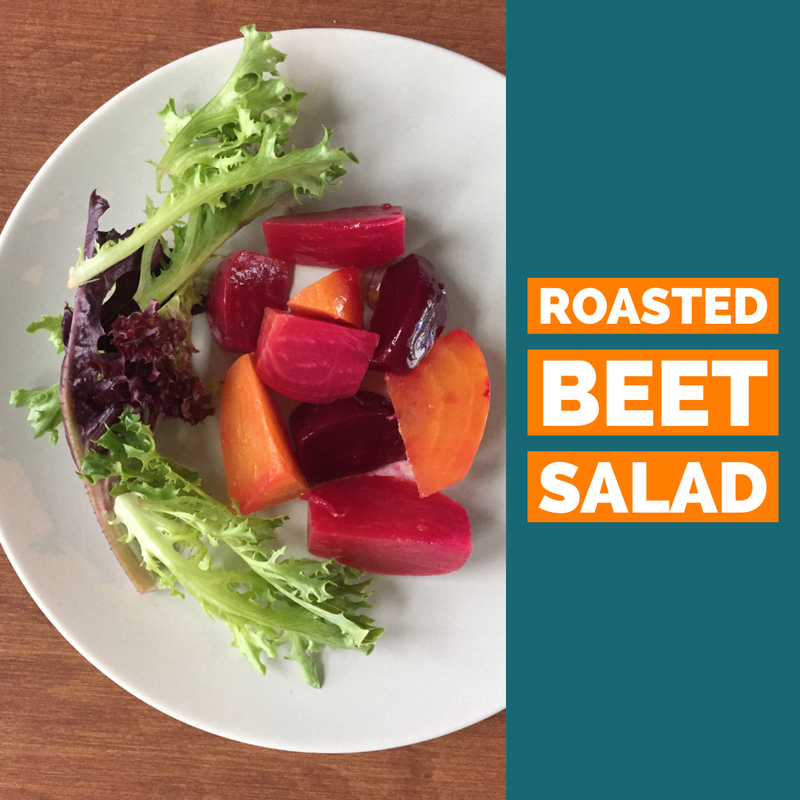 Bake the beets for 45 min to an hour or until they are easily pierced with a knife. 4. Remove from the oven and let cool until still warm but able to handle. 5. Cut off the stem and root end and peel with the back of a knife. 6. Cut each beet into 6 wedges and place into a dish. 7. Toss beets with red wine vinegar and salt and let sit for 5 minutes. 8. Toss beets with Extra Virgin Olive Oil and serve. 9. Serve as a side or on toast with goat cheese.